UM organized a stakeholder meeting at the Hôtel Royal Thalassa, Monastir , Tunisia on February 11th, 2017. Participants included representatives from: Tunisian National Institutes of Public Health, the Governmental and Private Hospitals and librarian Representatives in Tunisia , and the “joint master programme in public health management” core courses contacts ,and and other academic staff in the faculty of medicine . 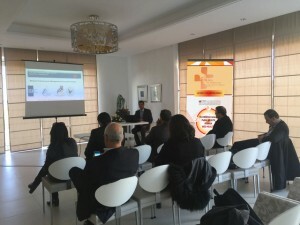 The meeting was organized with the objective of raising awareness of project activities and expected results among key stakeholders in Tunisia, ensure their early involvement and gain their support. 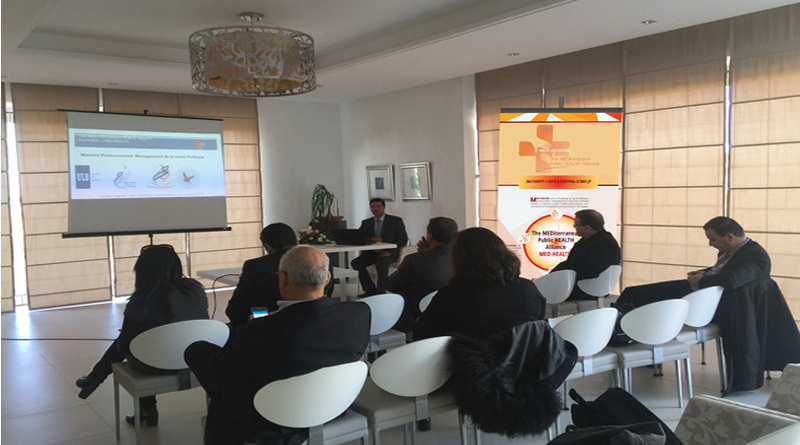 The meeting also served as a venue to promote the joint master’s degree program in public health management and analyze the existing attitudes towards public health education and the perceived needs from the perspective of Tunisian stakeholders.